The Colorado Convention Center in downtown Denver is the premier green meeting space for a sustainable meeting or convention. With a dedicated Sustainable Programs Manager, a robust sustainability program and a 300,000 kilowatt solar array, the LEED Gold Certified Existing Building is the premier sustainable conference center and ideal location for a green meeting or convention. The Colorado Convention Center is now the largest existing building in the region to attain LEED Gold within the Existing Building Operation and Maintenance (EBOM) criteria through recertification. In 2015, The Colorado Convention Center received the CDPHE Environmental Gold Leader Recognition by the Colorado Department of Public Health and Environment (CDPHE). 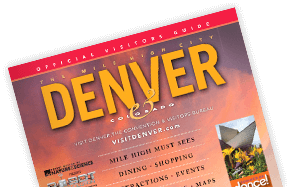 Please click here for the 2016 Colorado Convention Center Sustainability Report. For more information, please contact our Sustainable Program Manager, Lindsay Arell (303-681-1768) larell@denverconvention.com. Our energy conservation programs are designed to optimize efficiencies in our energy consumption by focusing on infrastructure updates, best practices, and preventative maintenance. The program also tracks and record energy consumption to help monitor the impact of our efforts and establish benchmarking goals. 300kw roof top solar array produced a total of 379 MWh of power consumed onsite. ABC dock side from induction lights to LED. Grand Concourse to LEDs for 550 fixtures. Updating stairwell lighting to LED as they burn out. ballasts to other SMG properties instead of throwing away or recycling. Our comprehensive waste management program plan focuses on identifying, reducing, and diverting the various waste streams created by venue operations, attendees and clients. Components of this plan include a facility Waste Audit, methods to reduce the amount of waste being created, manage inevitable waste and divert waste from landfill by means of reuse, repurposing, recycling, and composting. In December 2016, SMG sponsored the first ever employee free E-Waste recycling program resulting in 1,088 lbs of various electronics being recycled. The Colorado Convention Center's water quality and conservation best practices address water quality and conservation methods including: chemical management, water efficient landscaping and irrigation, and building infrastructure (toilets, urinals, sinks, showers) efficiencies. The program tracks and records water consumption, and establishes benchmarking goals. The CCC replaced approximately 120 faucets with new Chicago self-charging, touchless faucets that only flow water when hands are under the faucet. The CCC uses green cleaning supplies and practices to eliminate chemicals entering the waste water system. Our air quality program addresses improving the Air Quality within and surrounding the venue. Areas of focus include ENGINE&apos;S OFF! anti-idling policy and enforcement, smoking policies, alternative transportation, fleet vehicle management and management of VOC&apos;s and hazardous air pollutants. The Colorado Convention Center continued its efforts to support the community through both donation program and volunteer hours. In a continued partnership with RAFT Colorado (Resource Area for Teachers), the CCC donates left over conference materials to the organization. In 2016, the CCC donated a total of 3,900 lbs. of materials to RAFT. All of these highlights contribute to the many awards and certifications the Colorado Convention Center has received. For additional information, visit the Colorado Convention Center&apos;s green page or download the Green Convention Center FAQs.